I’ve reached that point in my life where I’ve concluded: I’m never going to see Big Cats on a Kenyan safari. If I wanted Nature, I was going to have to follow this advice: “Happiness not in another place, but in this place” (italics mine, quote by Walt Whitman). But what, by gum, was in this place, The Suburbs of Baltimore County? I knew nothing about nearby nature. Von Bastos’ new world, however, would be more quotidian. I purchased a bird feeder. For the purpose of Suburban Middle-Aged Birdwatching, my new hobby, I downloaded onto my smartphone the bird identification app Merlin (tagline: Have you ever wondered what is that bird?). I successfully identified the first seed-taker. It was a male Tufted Titmouse. 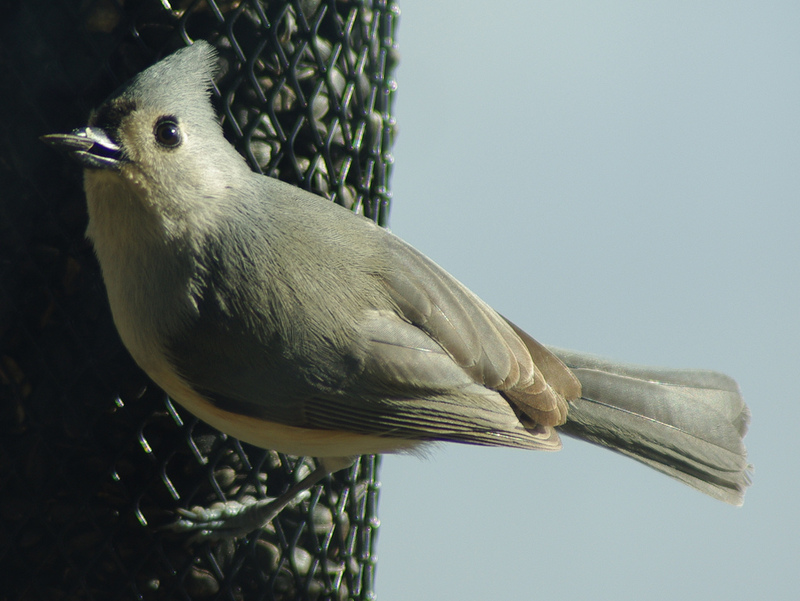 Bold as brass, clinging to the kitchen window screen with his feet, the Tufted Titmouse appeared as interested in me as I was in it. He had a curious goofy round eye. The shock of feathers on its head reminded me of my eleven-year old son. I found him adorable. So I shamelessly anthropomorphized him. I gave him a name. I called him Triangle Feather-Head, on account of the crazy hair that was like my son's, the colors of a field of wheat blown this way and that. We became close. Triangle Feather-Head and I. We had a morning ritual. We had coffee together. (Well, I drank coffee. He ate seeds.) We sat silently together. We asked each other no loaded questions. He tapped on the glass with his beak. I responded in a companionable way, “Hey there, guy.” With mutual loathing, we acknowledged the squirrel I named Dread Pirate Roberts because he was a marauder of the bird feeder. 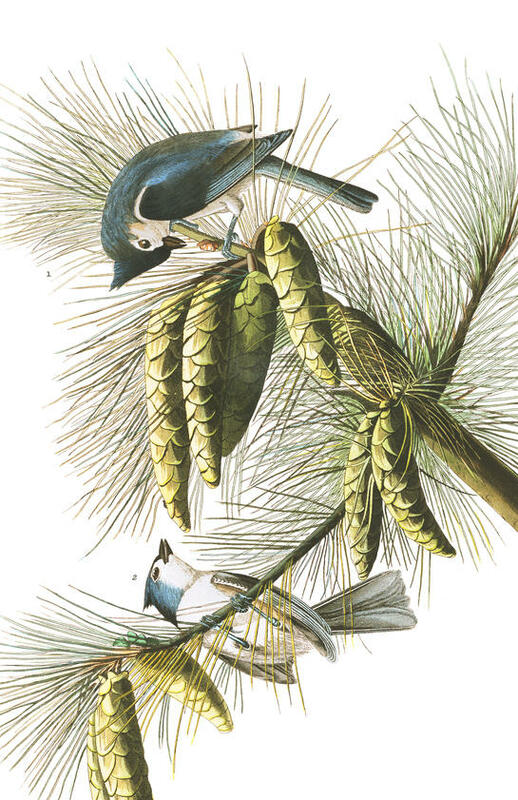 If the Tufted Titmouse and I weren’t technically friends, we were at least habitués of the same habitat, the decaying American suburbs, both of us trying to make the best of it. We shared a suburban ecologyship, if no other relationship, and it was an easy one. 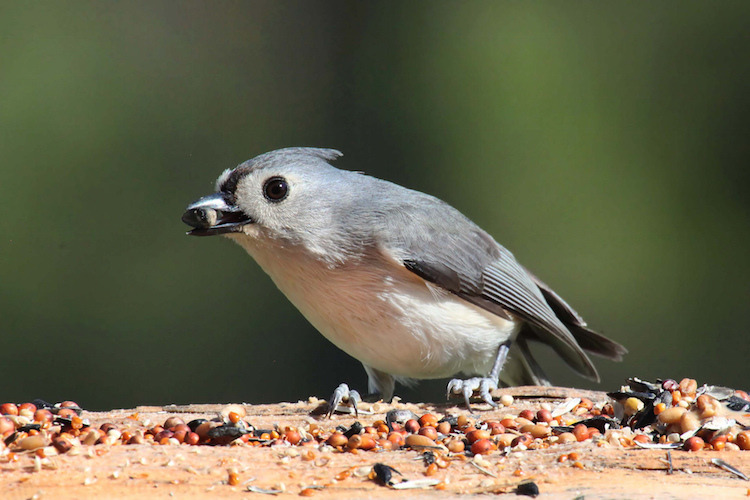 All I did with the Tufted Titmouse was observe, appreciate the moments we shared, and keep the feeder filled. Maybe this is sound relationship advice. I’ve been using it with my husband and children; it’s going very well. Nature is in heavily developed northwestern Baltimore County where I live. If you choose to adjust your attitude as I have, the strip-mall parking lot is also junglishly bursting with lives that are as charismatic as big cats’. Instead of wishing forlornly for pandas, whales, or panthers, I’ve been keeping a list in my Nature Journal of the things that are here. The safari is in my own backyard. The blasted wrecked moonscape of the suburbs is by no means dead. I saw my first red-shouldered hawk in the sky above one of the most suburban mom of suburban mom places, the Target of Pikesville. As I looked up and cried, “Hawk,” other suburban moms looking for school shoes for their kids looked up too.